Ben and Jo Statler, left, and Hank and Joanne Barnette, right. The Eastern Pennsylvania Chapter of the Association of Fundraising Professionals recognized Hank and Joanne Barnette of Bethlehem, Pennsylvania, during a breakfast held in East Texas, Pennsylvania, while Ben and Jo Statler of McMurray, Pennsylvania, were honored as outstanding philanthropists at a luncheon hosted by the Western Pennsylvania Chapter in Pittsburgh. The Barnettes’ impact spans a wide spectrum at the University including the creation of four scholarships helping dozens of students, a professorship in political science, and an endowment at the WVU Libraries. 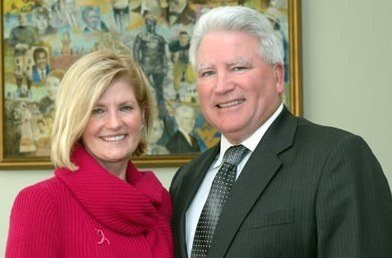 Their recent donation of family real estate will help house future WVU faculty, and their gifts have established a board of governors’ room at the WVU Erickson Alumni Center and a board room at Blaney House, home of the WVU president. The Barnettes’ philanthropic spirit is reflected in membership in the WVU Foundation’s Woodburn Circle Society, the highest donor recognition level at the University, as well as the Irvin Stewart Society, the recognition group for those who have left WVU in their estate plans. Both are members of the Alumni Association’s Old Gold Club. 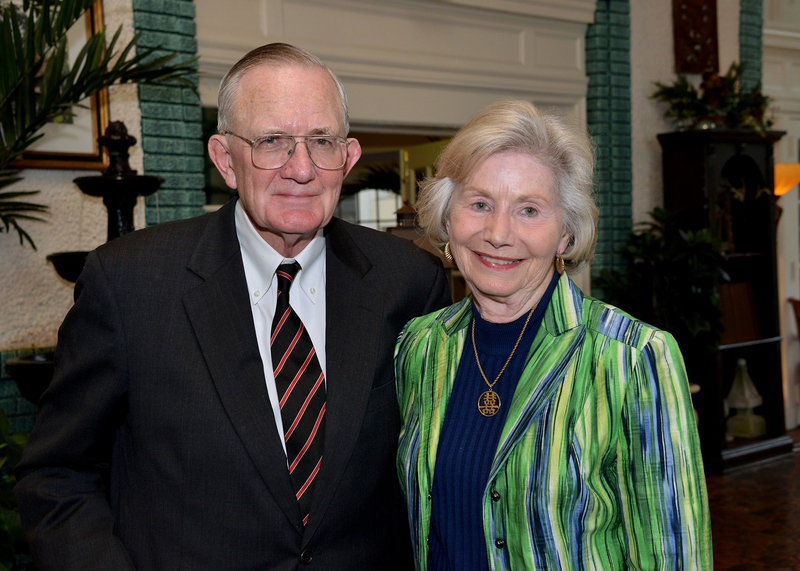 In 2014, Hank and Joanne were recognized by the Foundation with its Outstanding Volunteer Philanthropists award. Hank Barnette is a 1956 graduate of WVU, and in 1962, earned his juris doctorate degree from Yale Law School. He spent 33 years working for Bethlehem Steel including serving as president and CEO from 1992-2000. Hank has given a lifetime of service to his alma mater providing leadership on numerous governing and advisory boards, including chairman of the WVU Board of Governors, now chairman emeritus, and chairman of the WVU Foundation Board of Directors, now director emeritus. He has been honored with induction into the WVU Academy of Distinguished Alumni and West Virginia Business Hall of Fame, and elected to the Order of Vandalia, the University’s highest honor for service to WVU. Hank was named Most Loyal Alumni Mountaineer, and in 2013, was awarded the Student Affairs Outstanding Achievement Award. Like the Barnettes, the Statlers have shown remarkable generosity and leadership. The direct impact of their lifetime of support to WVU is nearly $60 million, making the Statlers WVU’s largest benefactors. In recognition of their support, the College of Engineering and Mineral Resources was renamed the Benjamin M. Statler College of Engineering and Mineral Resources in 2012. Over the years, the Statlers have supported many WVU initiatives including the comprehensive breast cancer program at WVU's Cancer Institute; the new Erickson Alumni Center building; the Basketball Practice Facility and other Athletics capital improvements. Ben, a 1973 graduate, is a member of WVU Board of Governors and a former member of the WVU Foundation Board of Directors. A minority owner of the NFL’s Pittsburgh Steelers, he joined Consolidation Coal in 1969, retiring as senior vice president of mining for CONSOL Energy in 1999. He then formed his own mining consulting company. Jo, a 2017 WVU graduate, has been a strong supporter of her community and the University. She helped launch Bonnie’s Bus at WVU which provides digital mammography services to women in remote areas of West Virginia. The bus is named after her mother, Bonnie Wells Wilson, who died of breast cancer. Since 2009, Bonnie’s Bus has provided more than 17,900 mammograms and detected at least 80 cases of breast cancer. The Statlers have received numerous honors, including Most Loyal West Virginians, the WVU Foundation's Outstanding Philanthropists Award and the Milan Puskar Award.